The award honors "outstanding technical significance" of Harvey Fletcher's work. | Fletcher Family A young Harvey Fletcher. | Fletcher Family Harvey Fletcher's BYU graduation photo. | Fletcher Family Harvey Fletcher resting at home in his 90s. | Fletcher Family Harvey Fletcher with is sons. (Top row: Stephen, James. Bottom Row: Paul, Harvey, Robert, Harvey Jr.) Photo courtesy of the Fletcher family Harvey Fletcher poses in the 1930s. | Fletcher Family Harvey Fletcher (front left), with his family in 1964, when his wife, Lorena (front right), was named American Mother of the Year. 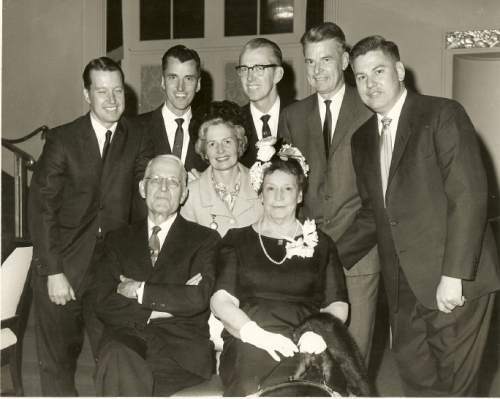 They are surrounded by their children (left to right) Robert, Harvey J., James, Stephen, Paul, and Phyllis (middle). Around 1931, at Washington&apos;s Constitution Hall, a group of dignitaries that included Cabinet members, senators and representatives was invited to experience the wonders of stereophonic sound. Staring at an unlit stage, they listened as two trumpet players alternated parts from the same selection  one, at the left end of the stage, the other, at the right. It seemed so, anyway. When the lights came on, there was no trumpet player at the left side of the stage. That player, the audience was told, had performed at Philadelphia&apos;s Academy of Music, the notes reproduced by three loudspeakers in Washington. It was one of many such demonstrations conceived by Utahn Harvey Fletcher, widely regarded as the father of synthesized stereo sound and announced Wednesday as a posthumous recipient of the Grammys&apos; Technical Award for work "that was of outstanding technical significance to the recording field," according to a news release. 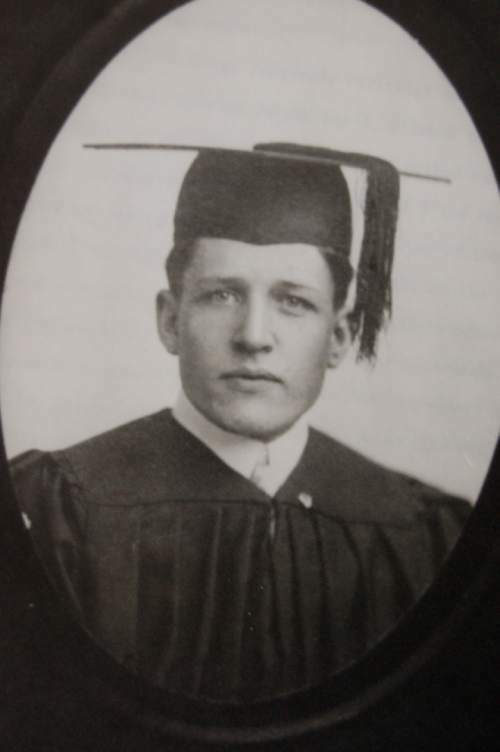 Born to pioneer parents in Provo in 1884, Fletcher was one of the earliest graduates of Brigham Young University. Though he had to retake his first physics class, he was chosen by virtue of his academic excellence to help survey the "block Y" east of the university, stressing the importance of ground-level perspective. (The "Y" is much skinnier than it appears from the valley floor.) He later would chair the school&apos;s physics department and become the first dean of its engineering department. Fletcher was a cutting-edge nuclear physicist. As a graduate student at the University of Chicago, he now is credited for the breakthrough in Robert Millikan&apos;s "oil-drop experiment," which allowed them to measure the charge of an electron and was the basis of Millikan&apos;s 1923 Nobel Prize. Though Fletcher wrote most of the paper, his name was scratched per an arrangement with Millikan. He apparently kept any hard feelings to himself. Fletcher, who had aspired to work with his father in construction and his uncles in the grocery business before discovering an interest in science, once remarked that he had thought the edges of the world were the mountains to the east and west of Provo. He came to Chicago a "farm boy," said his son Robert Fletcher, and "felt a great debt to Millikan." 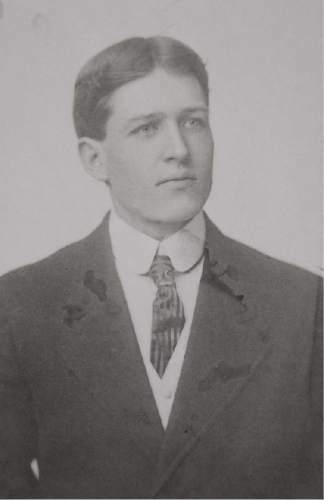 After leaving Chicago, Fletcher spent five years teaching at BYU, where he attempted to improve upon the oil-drop experiment before he was lured away by the Western Electric Co. There, his career path would alter sharply as he turned his attention toward the science of sound. During World War I, he worked on a device intended to detect underwater submarines. He oversaw development of the first hearing aids to use vacuum tubes  he personally delivered a hearing aid to Thomas Edison  and the most widely used audiometer, which tests a person&apos;s hearing. He also developed the artificial larynx, which Robert Fletcher remembers testing as a young boy. At a meeting of the board of managers of the American Federation of Organizations of the Hard of Hearing, Fletcher equipped the attendants with amplifiers that allowed them to hear a public speech for the first time, tears in their eyes. Fletcher reportedly may not have agreed with the notion that stereo sound was his most important contribution, but stereo is what he&apos;s most known for today. "He was interested in the way we hear," Robert Fletcher said. "He recognized that we do hear directions by the difference in both the sound and the delay." He made other notable demonstrations at the 1932 World&apos;s Fair in Chicago and later at Carnegie Hall in 1940, with the assistance of composer and longtime associate Leopold Stokowski. Mary Mazurek, a Chicago-based recording engineer, said Fletcher&apos;s name also is familiar in her field for his creation, with Wilden Munson, of so-called Fletcher-Munson curves, which measure how the ear hears different frequencies. Mazurek is the governor of the Academy&apos;s Chicago chapter and said by phone Wednesday that "it made complete sense" to award the technical Grammy to Fletcher for his contributions to stereo recording. "It&apos;s really important to know where our technology came from," Mazurek said. "... His work touches basically everything we do in the modern world." The award is fairly new  the first given out in 1994  and Mazurek said the Recording Academy is playing catch-up to honor some of the key figures in recording history. For example, in 2014, they honored Emile Berliner, central in the invention of the record and the microphone. 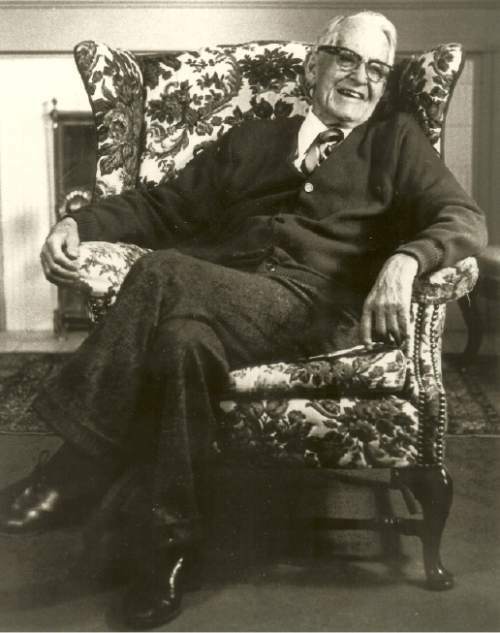 Fletcher died in 1981, a few weeks before his 97th birthday. 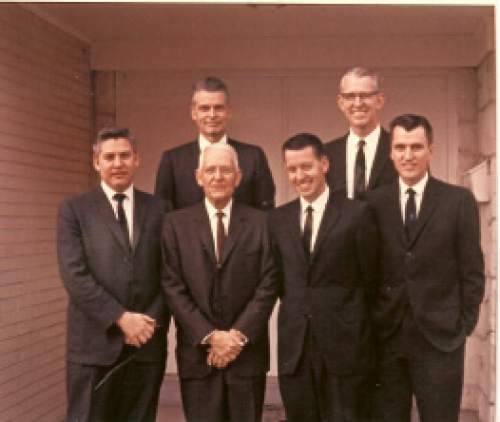 He had four sons who earned doctorates and one who earned a law degree. James would become president of the University of Utah and twice head of NASA. 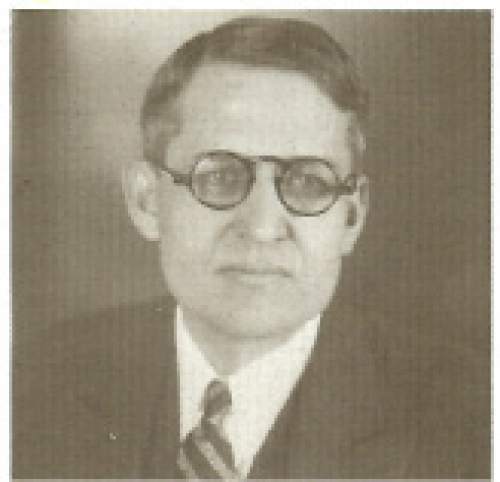 Robert Fletcher, the father of Tribune reporter Peggy Fletcher Stack, would follow his father as a physicist, working for Bell Laboratories. He recalls once being approached by famed Bell inventor John Pierce, less than free with compliments, and told "You know, your father did some very clever things." More, Robert said, he was an affectionate and understanding man who expected excellence from his sons but was not demanding. "He was certainly my hero, but not so much in physics capability, but just as a person," Robert said. A ceremony and concert honoring Fletcher and others, including Herbie Hancock, Earth Wind & Fire, Jefferson Airplane, Linda Ronstadt and Run DMC will be held in spring, according to a news release.